Dental health is a big issue. Indeed, according to a poll conducted by Harris Interactive, 60 percent of adults over the age of 35 know little, if anything, about gum disease, the symptoms, available treatments and the consequences. This is alarming. Dr. Kurt Marler, Dr. Jon Campbell and staff are committed to preventive dental care. 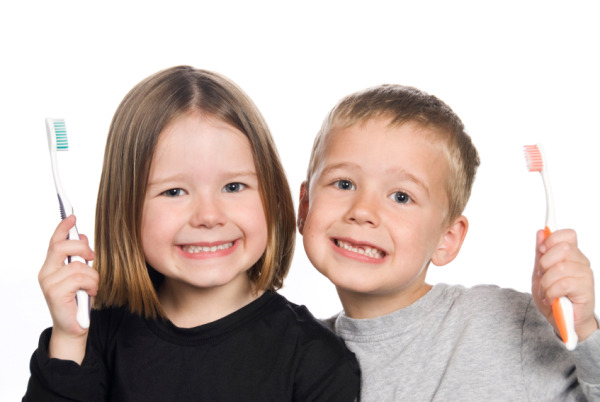 We, at the Marler Campbell Dental Group believe prevention is vital to a lifetime of healthy and beautiful smiles. A large part of our mission is to educate and inform our patients, and the wider Escondido community, on the essential need for oral health and well-being. Preventive care involves establishing a thorough dental cleaning routine at home. This means regularly brushing and flossing to remove bacteria and microbes. Left untouched, colonies of disease-causing bacteria will eventually infect the soft tissue of the gum, causing inflammation and decay. Establishing good habits means knowing exactly what you are doing. Our doctors take the time to demonstrate effective techniques to all their patients, and we start from the first visit. Care techniques and instruction are provided to our younger patients, and parents are welcome in operatories to watch and learn. At Marler Campbell Dental Group, our dentists and team are highly knowledgeable and skilled professionals. We educate our patients on why they need to care for their teeth and gums, as well as how to care for them. Our hygienists discuss at-home care with patients during regular visits, providing resources and assistance as needed. We offer hands-on instruction to all patients. And, to provide our patients with the latest information, we are continually learning ourselves. All our dentists and hygienists keep up to date through continued education, certifications and professional associations. Gum disease is extremely common among adults over the age of 35, and yet it can be prevented. Gum disease describes the bacterial infection and inflammation in the soft tissue lining the teeth. By maintaining a regular cleaning routine at home, you are fighting gum disease, and potentially much more. Regular checkups are equally as essential, and gum disease isn't the only threat the doctor is looking for. Your dentist also looks for signs of systemic diseases. An oral exam can often detect signs and symptoms of precancerous or cancerous lesions, diabetes, heart disease, blocked salivary glands, and even HIV or AIDS. Regular visits include an oral examination and cleaning. X-rays are taken as needed to assess the health of your teeth and the adjacent bone. Regular checkups decrease the potential for new problems to arise. They also help doctors detect issues early on so that fewer invasive, or extensive treatments are required. Not only does this help the patient avoid a lot of discomfort, it is a more affordable approach to optimum oral health. We invite you to watch the educational videos we have offer on our site. For more information on preventive care, and to discover how we can care for your smile, contact the Marler Campbell Dental Group today!